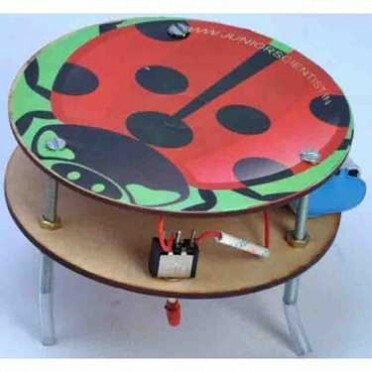 The electric bug is a robotic insect. It normally buzzes around at random, but you might be able to tame it. They have a spinning weight or mass which is out of balance. This makes it wobble or, at high speed, vibrate.